After two productions at the prestigious Langham London, Defibrillator continue their partnership with this prestigious and forward thinking international Hotel Group. 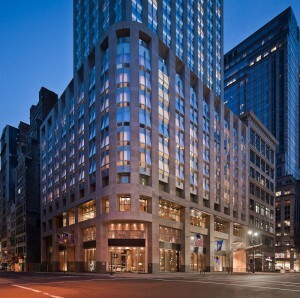 Located between Bryant Park and the Empire State Building, Langham Place New York, Fifth Avenue has a sharp metropolitan style that embodies the dynamic spirit of the city. As the flagship brand of Langham Hospitality Group, Langham Hotels represent the epitome of luxury and are defined by “The Art of the Stay” through their impeccable service.